The house at 200 S. Chester Rd. in Swarthmore would house cancer patients in the area for treatment, along with their caregivers, under the HEADstrong proposal. On and off for the last three years, a sprawling seven-bedroom house just steps from Swarthmore College sat on the market, waiting for a buyer to embrace the three-story Colonial on one of the busiest intersections in small, sleepy Swarthmore. So this summer, when the HEADstrong Foundation, a local nonprofit dedicated to serving cancer patients, made a bid for the property at 200 S. Chester Rd., the owner, Jack Terrill, was thrilled to have the house off his hands and in those of buyers he "admired." The sale was supposed to close this month. But as word of the nearly $700,000 deal - and how HEADstrong planned to use the home - spread, about two dozen neighbors began working to quash it. They opposed the nonprofit's aim to turn the 5,000-square-foot home into temporary housing for cancer patients traveling to the region for treatment, and for their caretakers. Seven patients and seven caretakers would be able to stay about six weeks rent-free. On Monday, the Borough Council is set to decide who prevails. HEADstrong needs an accommodation under the Fair Housing Act to set up the facility, and received one from Swarthmore's planning commission in September. Thirty days later, neighbors appealed. "We're shocked," said Cheryl Colleluori, president of the Ridley Township-based HEADstrong Foundation. "I've tried everything to calm their fears. . . . I was hoping we would be more welcome." Neighbors said that while they support the mission, the location, at Chester Road and Harvard Avenue, is problematic. The intersection has heavy traffic flow, and a group home would create parking and traffic woes, they said. Swarthmore Community Center and Swarthmore Presbyterian Church are across the street. What's more, they say, HEADstrong's guests would stay only weeks, making it impossible for residents to know who was staying in the house. Lisa Feehery, who lives a few doors down, said she knows the importance of the organization: Her father had cancer, and her 10-year-old son is autistic. "Nobody is against cancer victims," she said. But this facility, Feehery said, would create "all kinds of traffic and risks to kids." Having a permanent neighbor who would be familiar with her son is vital, she said. Such a neighbor would be aware if he wandered off. The conflict playing out in the small Delaware County borough mirrors ongoing disputes over group homes that have wracked the region and the nation in recent years. As federal laws such as the Fair Housing Act and the Americans With Disabilities Act have given increased protection to some groups and communities, local governments and residents have had to reconcile how group homes fit into preexisting zoning laws and neighborhoods. A similar home by HEADstrong that allows two patients and two caregivers already exists in Ridley Township. 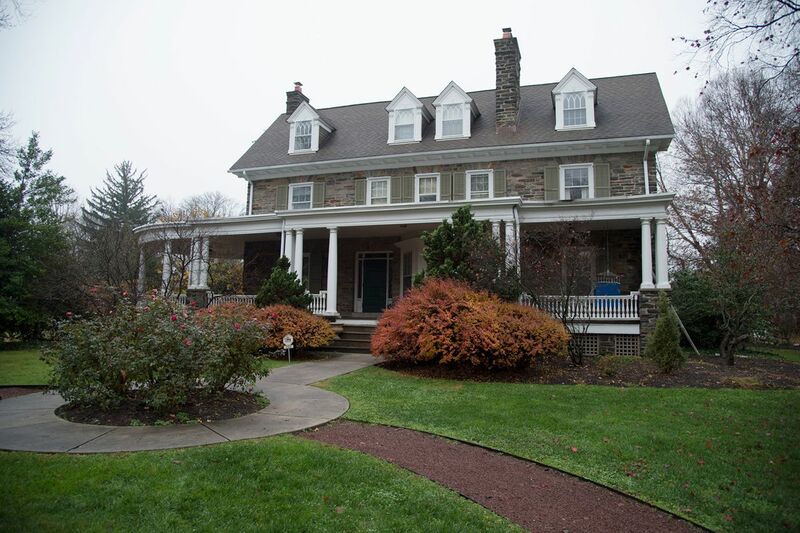 In August, HEADstrong petitioned Swarthmore's Accommodation Request Review Board for an accommodation that would allow it to exceed the borough's residency limit of three unrelated people per home. Inspired by an experience with her son, Nick, who died 10 years ago at age 21 from acute lymphoma, Colleluori said she knew the expenses families faced when traveling to get cancer treatment. Nick's dying wish, she said, was to do more to help families like his. By providing them a free space to live for a temporary period, Colleluori said, she hoped she could relieve some of those burdens. "We have walked this walk and we understand emotionally, psychologically, and financially the impact of this disease - it's a terrible toll," Colleluori said. "If we can be that resource and lend that arm, then I've fulfilled my promise to Nick." Still, the location is all wrong, Feehery said. "There are other properties in Swarthmore that are properly zoned," she said. "They're asking to be treated like a family, with no oversight and no enhanced protections for the vulnerable who would be living there regularly." Robert Smythe, who lives a block away, called the opposition loud, though "not necessarily that many people." He and many friends say they would welcome the HEADstrong home. "I want to be part of a community that cares," Smythe, 56, said. "Having the opportunity to welcome into the community people who need help is something we all want to do." Borough Council will meet in borough hall at 7:30 p.m. Monday.